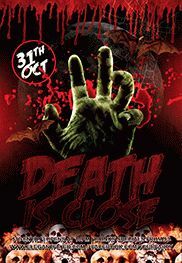 The most evil and dangerous day of the year – it is the 31st of October. 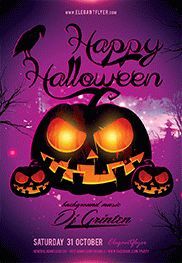 In this day, all the ghost, witches and all the evil spirits come to our cities, street and even homes. 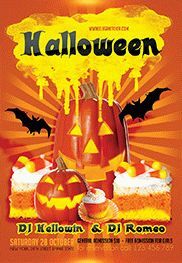 A lot of little children try to be frightening as much as possible to have more sweets from people. 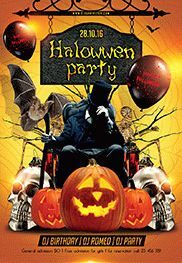 And of course, a lot of happy parties can be hold this day. 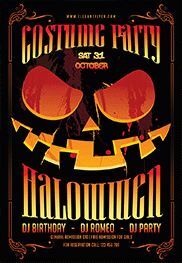 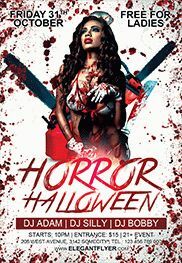 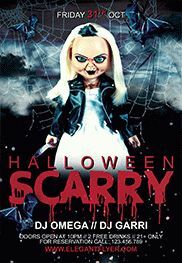 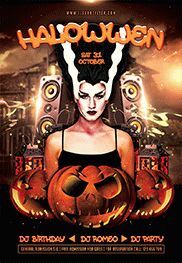 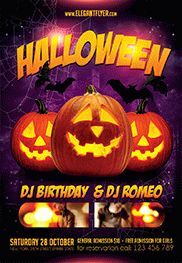 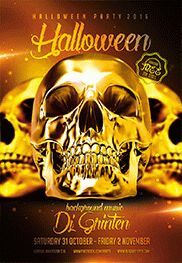 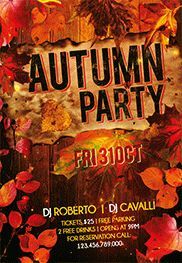 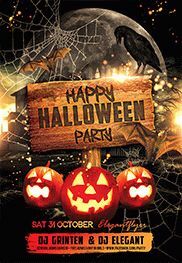 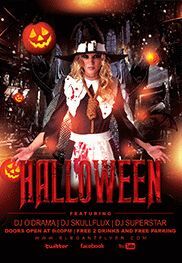 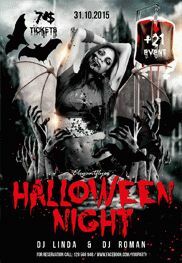 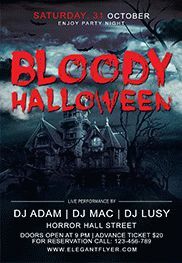 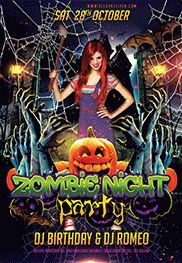 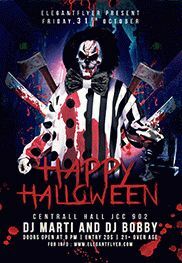 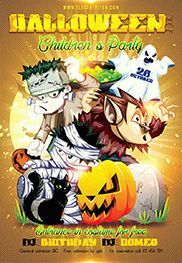 If your goal is to organize one, just purchase one of our themed club flyers “Happy Halloween party 3” and invite guest to any night club, café or to your Happy Halloween home party! 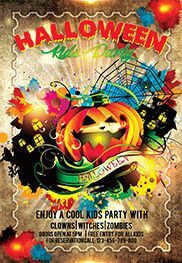 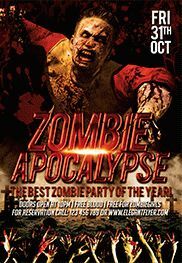 This club flyer combines a lot of party details and you can change it the way you like if you need it!